Long term results after rhinoplasty. 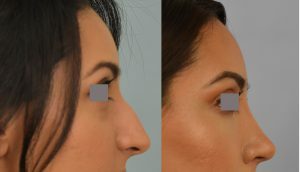 18 Mar Long term results after rhinoplasty. 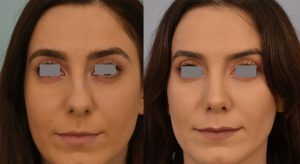 Is one year enough to see the final result after rhinoplasty? Although most swelling after rhinoplasty resolves by 12 months, there is almost always some swelling present in the tip and midnasal area. 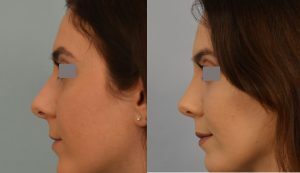 Any experienced rhinoplasty surgeon, would see his/her rhinoplasty results evolve over 3-5 years after surgery. At 12 months, most patients will still have stiffness and swelling in the tip and some in the midnasal area. By 3-4 years after rhinoplasty, nearly all swelling in the tip and midnasal area is gone and the tip skin will feel soft . Patients with thicker skin or revision rhinoplasty patients may have more pronounces and longer lasting swelling. Case example 1 : This patient’s result is shown 3 years after rhinoplasty. The tip was refined and nose straightened. The dorsum was lowered and columella lifted. Case example 2: Four years after closed rhinoplasty.